Tasty Homemade Pizza Recipe – Eats Yummy! Who wouldn’t love this good food? 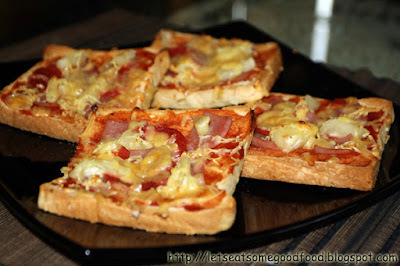 Being pizza lovers, Ana and I thought of cooking some when we were in Tagaytay. Here now sharing a so easy to prepare and cook good food recipe of Homemade Pizza using tasty breads that everyone could follow and love. You may also add some more toppings of your choice to make it heavier in the tummy. 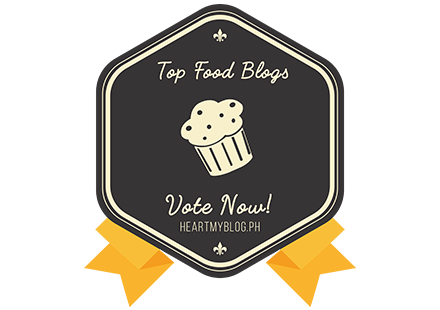 Don’t tell me that this easy recipe is not a good food, for it is a must try! Plus anyone can cook this with or without an oven. Put the bread in a baking pan and spread the pizza sauce on it evenly. Grate a decent amount of cheese over the tasty breads. Arrange the toppings over the cheese and make sure it does not overlap each other. Place baking pan in the oven and cook for about 8 minutes or until the toppings are cook and the bread is golden brown. i should try this later! a 10-minute ready to eat pizza, subukan ko sa susunod and i'll try to add some spices. thanks for this recipe! Happy eating! Dude thanks for sharing homemade pizza recipe. It's very easy and I'll definitely try this at home. My whole family love piza. That is nice to know. Thank you for visiting.